Starring Richard Burton, Peter O'Toole, and Sir John Gielgud, this epic film is now in a restored version with special features including a commentary track from Peter O'Toole, interviews with cast and crew members, and much more. 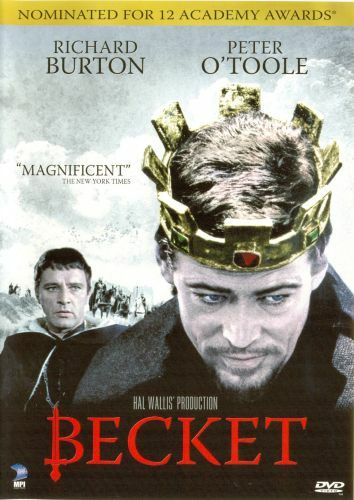 This gripping drama depicts the historical account of King Henry II (Peter O'Toole) and his loving friendship with Thomas Becket (Richard Burton), who had been the monarch's closest confident and advisor. The account takes an ironic turn, however, after the King makes Becket the Archbishop of Canterbury. Becket finds himself moved towards an uncompromising devotion to God, a rival with whom the King cannot compete.